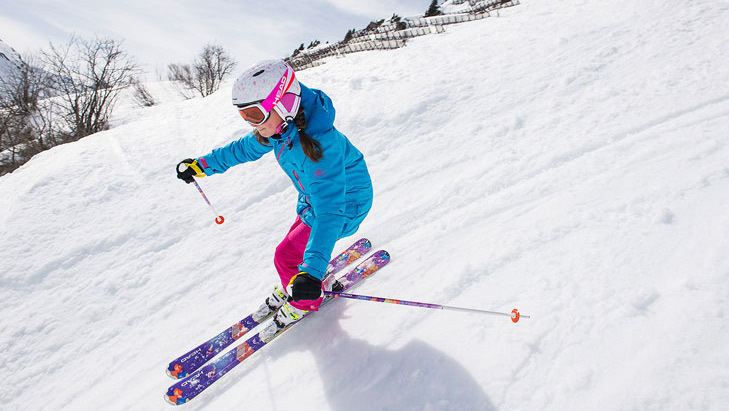 We don’t hesitate to enrol our kids in ski school, not only for the first time but also every ski holiday after that, to keep up their technique. Shouldn’t it go without saying that adults also need periodic refreshers of their skiing and snowboarding technique? But for some reason, we tend to relax once we attain a certain level, and ski and snowboard lessons fall by the wayside. If you’re exhibiting any of these telltale signs, it’s an indication that you should consider booking yourself some lessons this winter. Not only will lessons help you be safer on the slopes, they’ll also increase your enjoyment and allow you to try out different runs on the mountain! 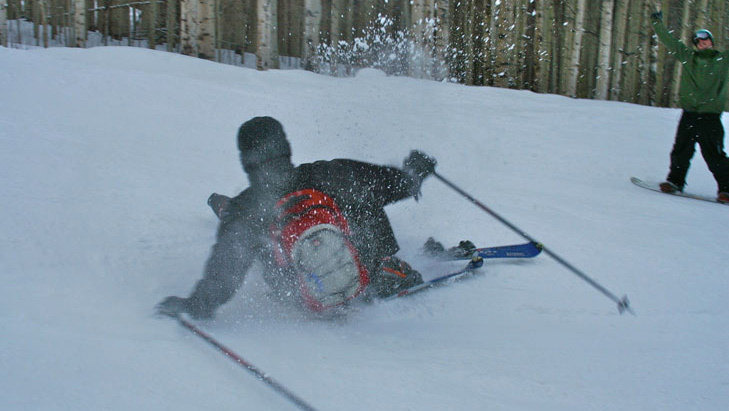 Skiing should be fun, even on the steeper runs, especially if you know what you’re doing. If you’re panicking at the slightest incline, that’s an indication that something isn’t right. An instructor can help give you tips on overcoming your fears and learning to control your speed and your balance so that you can tackle even the most difficult of pistes. Do you get nervous when you can't see over the edge? We all have a fair-weather skiing friend who won’t venture out on the pistes if there’s snow or fog. But if you’re really in love with the sport, you won’t care about the weather. After all, if it’s blizzarding outside, that means more fresh snow! Racing down the slopes as fast as you can is all very well, but only if you’re skilled enough to avoid other people and objects and stop on a dime if necessary! 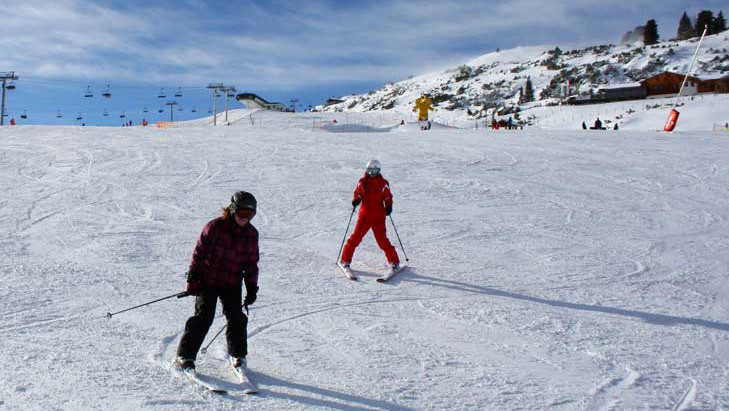 Ski lessons can help you get the skill level to ski fast while staying safe. Going fast is all good and well until somebody gets hurt! Many skiers and snowboarders think that once they can handle red runs, there’s no need for further lessons. 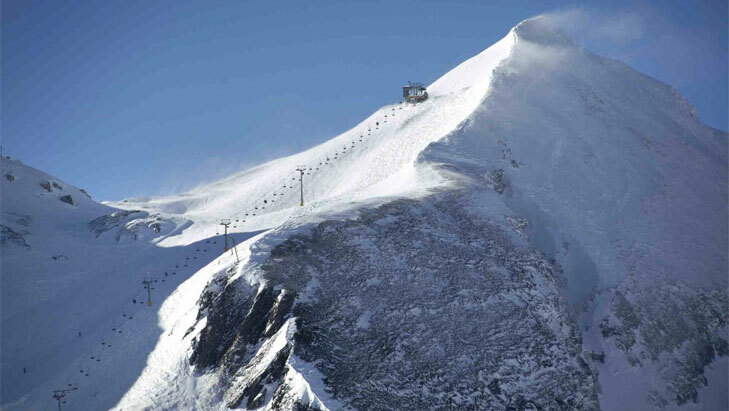 This leads to inexperienced skiers and snowboarders trying black pistes... with disastrous consequences! 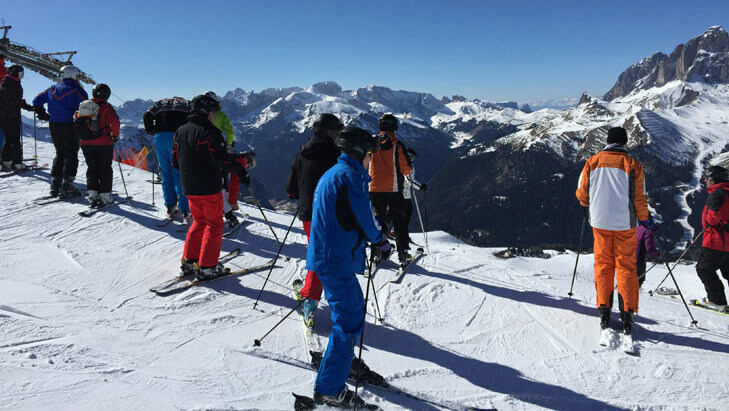 Master your first black piste with a qualified ski instructor and you’ll live to ski another one! If you’re so anxious to ski that it’s actually preventing you from skiing, then it’s time to change something. Maybe the other people in your group are more experienced and they keep dragging you on difficult slopes, or maybe you had a bad fall and you’re afraid to keep going. Whatever the reason, a few hours of lessons at your own pace with an instructor who understands your needs will help you get your confidence back! By the afternoon, the red pistes you’ve been skiing all day have some nasty moguls growing on them and they’re totally taking away all your enjoyment. Do you get annoyed when the moguls send you skittering uncontrolled across the bumps? A ski lesson can help you control your speed and master the angle with which you can ski moguls safely – and even enjoy them! Especially in the higher-elevation ski areas, it’s not uncommon to come across a steep, icy piste. If the thought of this terrifies you, then it’s time for a carving lesson! A decent skier can ski well in decent conditions; a good skier can ski well in all conditions. Learn how to overcome your fears and you’ll triple your skiing terrain. This is a dead giveaway: are your children better than you? You’d better book yourself a ski or snowboard lesson quick if you don’t want them to grow into hotshot teenagers who leave you in the dust on family ski holidays! 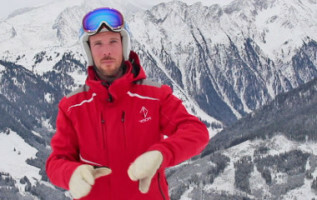 Verdict: Is it time to book ski or snowboard lessons? Do any of these sound like you? Then maybe you should consider booking yourself a ski lesson. This doesn’t have to mean starting from scratch – quite the opposite. Most ski resorts have lessons for every level of skier, plus specialised lessons for tackling moguls, freestyling, you name it. Taking a few lessons on your next ski holiday will open up new possibilities for you and your skis (or snowboard) and you won’t regret it!